$12.00 /each. when you buy 5+ pcs. This is Phra Pid Ta Pim Kanok Wan Dum (Black) Ruay-Sub53 was made by Luang Phor KEY of Wat Si Lum Yong (from Surin, Thailand) in B.E.2553 (2010) and made of BAILAN (Clay mixed with Herb). 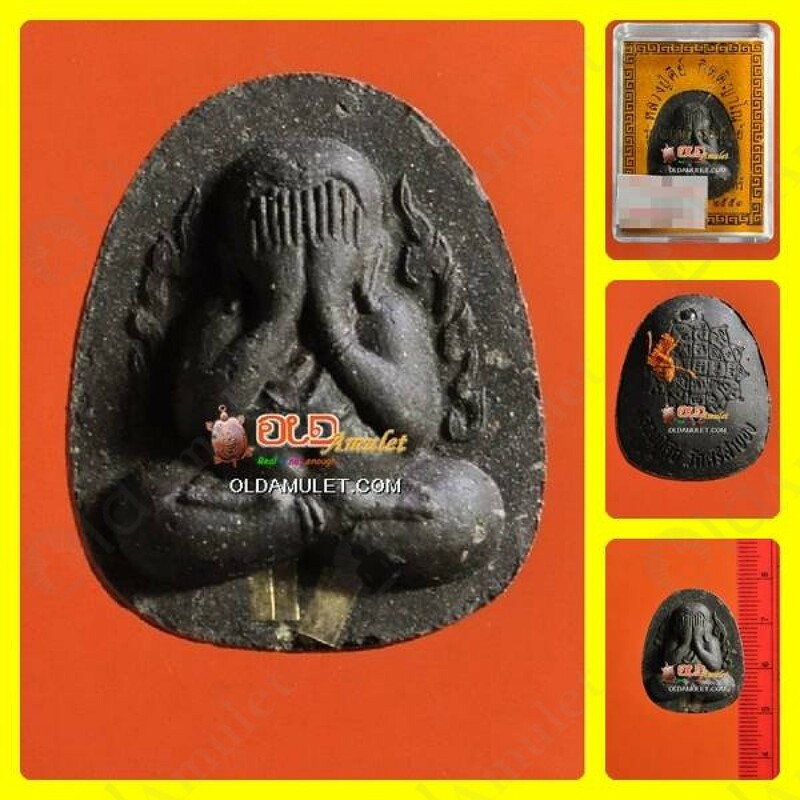 Power of this amulet will bringing owner has a Protection & banlance life.